I've left some clues for you. If you want them, turn the page. If you don't, put the book back on the shelf, please. At the urge of her lucky-in-love brother, sixteen-year-old Lily has left a red notebook full of dares on her favourite bookshop shelf, waiting for just the right guy to come along and accept. Curious, snarky Dash isn't one to back down from a challenge - and the Book of Dares is the perfect distraction he's been looking for. As they send each other on a scavenger hunt across Manhattan, they're falling for each other on paper. But finding out if their real selves share their on-page chemistry could be their biggest dare yet...'One of the best books I've ever read' - The Guardian on Every Day. "'It was impossible not to have a huge, satisfied smile on my face at the end.' 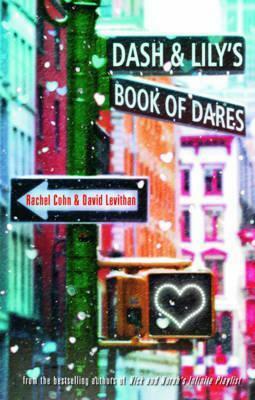 YA Crush"
Rachel Cohn and David Levithan are New York Times bestselling authors of YA fiction. They have co-written three books including Nick & Nora's Infinite Playlist which was adapted for a film in 2008.